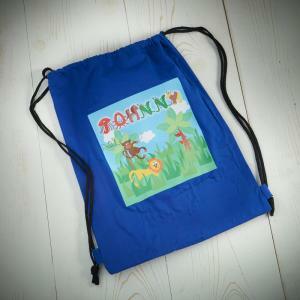 At Little Lucy Willow we strive to give our customers exactly what they want without straying too far from our strong brand values. So whenever we decide to launch a new exclusive collection it has to conform to our mantra - timeless, stunning and built to last. The gorgeous Little Gustav Collection ticks all those boxes and more, bringing a new dimension to our range of luxury children’s furniture. With simplistic lines incorporating intricate carvings, Gustavian style is both simple and striking. This genre of furniture has decidedly royal roots, having been introduced to Sweden by King Gustav III in the 1780s. Following a visit to the decadent Palace of Versailles, the discerning King set about creating his own particular genre of decor. The Gustavian style adorned Swedish royal palaces thereafter. Such was the popularity of Gustav’s vision, his ideas filtered down through the upper classes, the fashionable town houses and eventually into the countryside. Much Gustavian furniture was painted in pale, muted colours to brighten the interiors of homes during harsh, dark winters – precursors to the popular reproductions we see today. To further add light, large gilted mirrors and huge chandeliers were common fixtures, plus additional candles in wall sconces. Today, pale, delicate shades and understated opulence are still hugely popular when it comes to interior décor for their ability to ‘lift’ a room, whatever the weather! 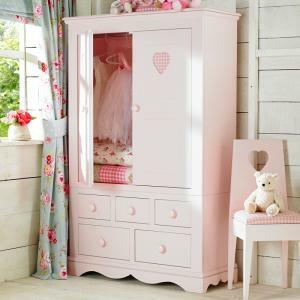 Why choose Little Gustav children’s furniture? The beauty of this collection is its ability to work in any setting. From lavish period homes to the ultra-modern penthouse, Swedish restraint coupled with French decorative style is timeless. Our Little Gustav children’s furniture collection is carefully crafted using solid oak, beech and birch woods, with a hand brush painted finish. Each piece is sturdy and durable with dovetail joints and an interior wax varnish featured within drawers and wardrobes. Handles are fashioned in an attractive antique brass. The bed is available as a double or single with a beautiful upholstered headboard in a check or gingham of your choice. We can also upholster the Little Gustav headboard in your very own fabric if required. 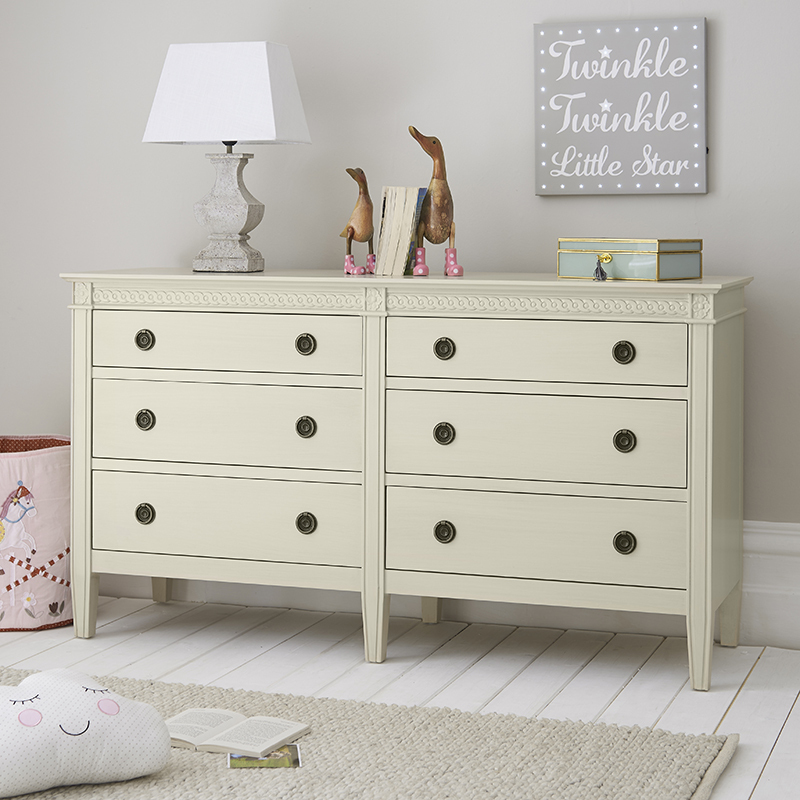 Various storage combinations such as a 6 drawer sideboard or 2 over 4 chest, add to the practicality of this collection with ample space available for clothes and toys. The range also features a child’s desk and upholstered chair to create a calming and stylish space for any budding students. If that doesn’t appeal however, this gorgeous desk will double up as a cute dressing table too. 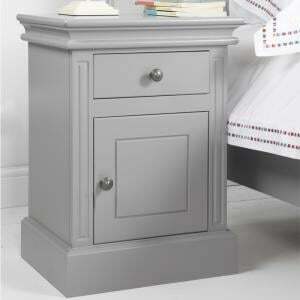 The understated elegance of this furniture and its enduring appeal make it the perfect pick for a child’s bedroom. 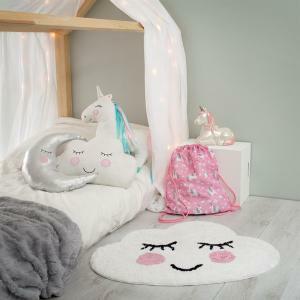 It can often be difficult to make a choice when investing so much in a room that will probably need re-vamping more often than any other in the home, due to your child’s changing tastes and personality as they grow. However, with a collection such as this, re-accessorising is all you’ll ever have to do. Favourite colours will come and go, all of which can be used effectively against a backdrop of pale, painted furniture. Thanks to the classic Gustavian style, this collection will never lose its splendour, appealing to young and old alike. 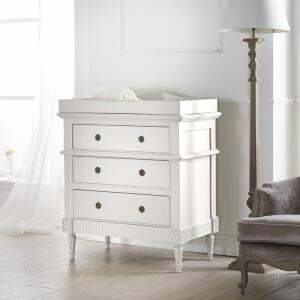 We offer this children’s furniture collection in Gustavian White or Gustavian Cream, both delicate, calming colours which blend well with similar earthy shades. Use pale textured fabrics and whitewashed floors to enhance your Gustavian look. Apply the perfect finishing touch with an eye-catching decorative chandelier.